Carrot Cake, or Carrot Pudding? Today, I am pleased to announce the release of my first pattern. This one is a freebie, because come on — who charges for their first effort?! The desire to create this pattern came about because there seemed to be a dearth of patterns for armwarmers for tiny people. 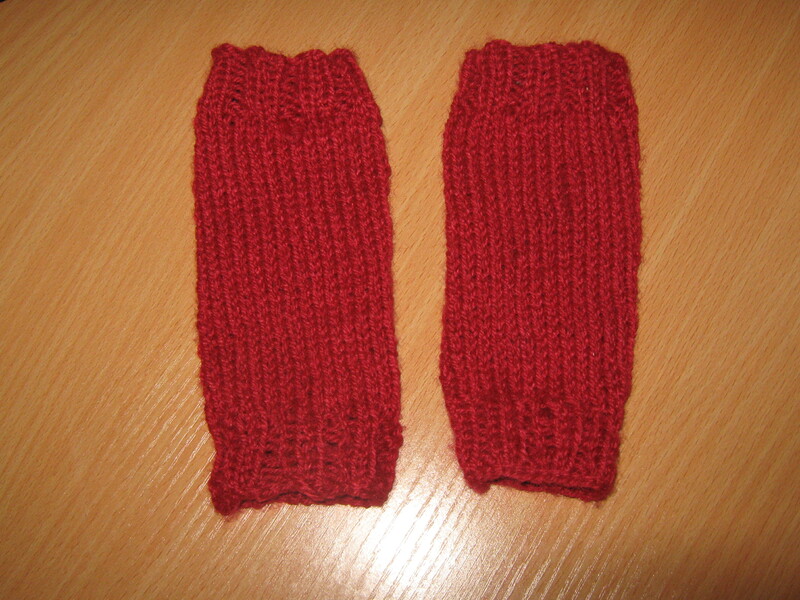 There’s tonnes out there for legs, and I did find one pattern for arms… but they were also mitts. 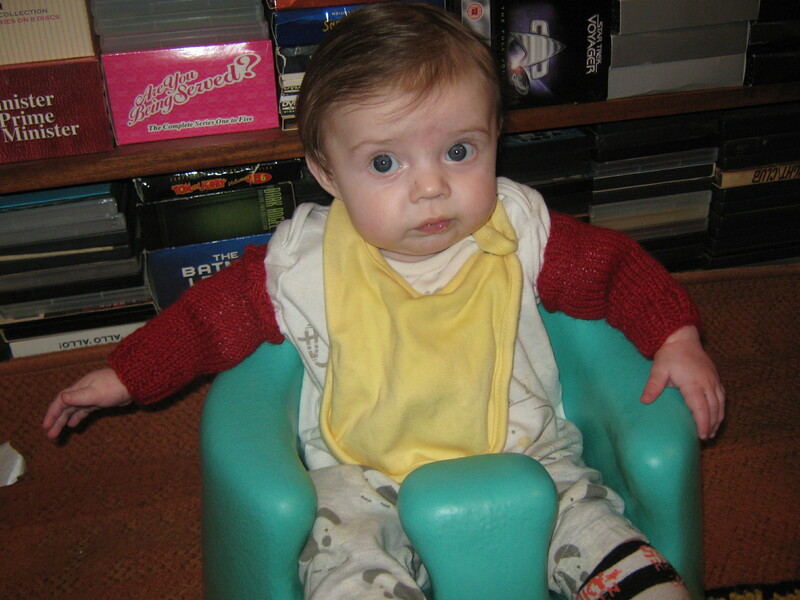 I don’t know about anyone elses’ babies, but mine at this age are a constant font of drool, much of which gets on tiny hands as they get shoved into tiny faces. Therefore, I wanted something that was less likely to wick spittle and make a baby wetter and crankier. This pattern is worked in the round, and only requires knowledge of ribbing (so really, just knit and purl), and well… working in the round, ha ha. I’ll be doing a flat version later, but I’m feeling lazy about doing the test knitting because I don’t want to have to sew it up. It’s not like mattress stitch is that hard, but I’d rather do magic loop if it were up to me, hee hee. For now, share and enjoy! wish I’d had something like that when my son was little! I was seriously surprised that there wasn’t a million patterns for these. That, or my Google-fu is really stinky lately, ha ha.